Even though it may seem like this winter will never end, we are officially, inevitably and luckily (yay!) approaching its end. Meaning that sometime sooner or later we will be stepping away from our full-bodied, big, warming, winter red wines and reach out for that bottle of refreshing crisp white to go with our ever lighter meals. In the meantime, I thought I would start spreading some summer mood and pre-open the season of “refreshing whites” with an impressive bottle I received from the London merchant Roberson Wine for review: a 2013 Touraine Cepage Sauvignon Marc Plouzeau. 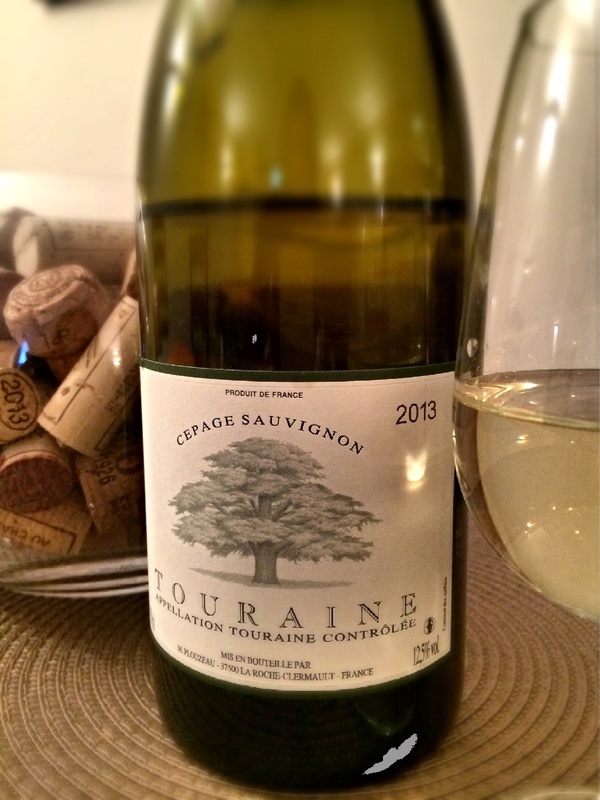 This wine is from the generic appellation of Touraine AC which is a growing source of very well made Sauvignon Blancs. Some of them represent high quality though less pricey alternatives to the Loire’s more famous regions Sancerre and Pouilly-Fumé, and in my opinion this wine is an excellent example. TASTING NOTE: pale lemon-green, clean nose with medium+ intensity, citrus and floral notes. Dry on the palate with med+ to high crisp and refreshing acidity, medium body and medium+ flavor intensity. Medium alcohol level at 12.5% and medium+ finish with a mineral backbone. Honeysuckle, elderflower, gooseberry, citrus (lemon), hint of lemongrass, yellow plum and nectarine – very fruit forward style. After ca. 15 minutes in the glass and having warmed up a little the wine has started opening up even more. It became more pronounced, showed more stone fruit character (white peach) and even a hint of tropical notes of passion fruit and pineapple. At ca. £10 a bottle I find this wine a very good value for money. It is designed to be drunk young so keep this bottle in your fridge rather than your cellar. I would like to thank Roberson Wine for kindly sending me this remarkable wine for tasting and review.